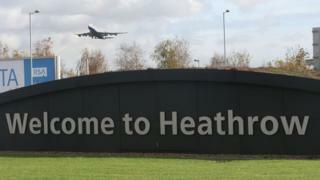 On December 24, a man was charged with flying over a drone near Heathrow Airport. George Rusu is accused of having used more than 1,000 flights with a drone on a field near the runway just days after a horror hit in Gatwick. He was accused of flying a "small unmanned aircraft without permission of air traffic control". Mr. Rusu, 38, from Hillingdon, will appear before the Uxbridge Magistrates & # 39; Court on Tuesday. The alleged incident occurred just three days after the full reopening of Gatwick Airport on 21 December after three days of chaos affecting around 140,000 passengers.